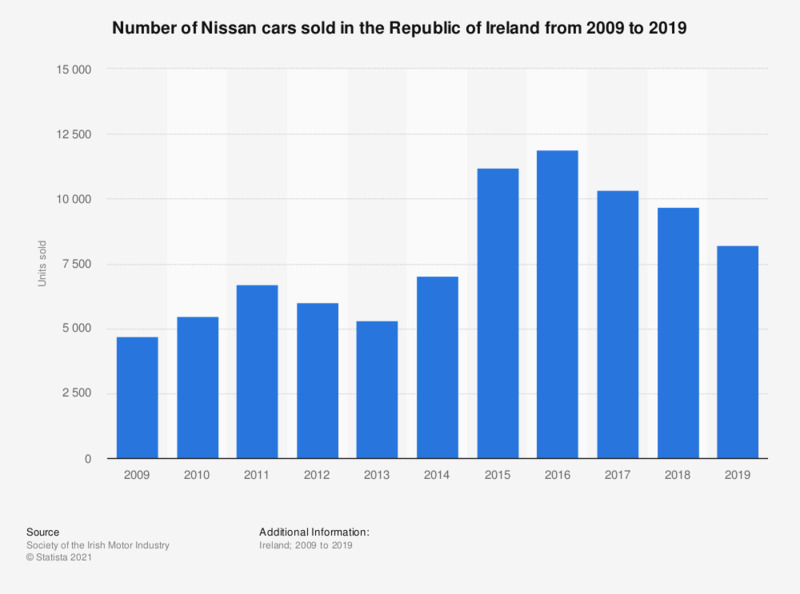 This statistic shows the number of cars sold by Nissan in the Republic of Ireland between 2009 and 2018. Irish sales of Nissan cars rose to a peak of almost 12 thousand units sold in 2016. In 2018, there were approximately ten thousand units of Nissan cars sold in Ireland.